You’ve spent a lot of time and money generating leads. Each one offers a potential relationship with your brand—or even a sale. You don’t want to lose or abandon those leads if they might still lead to something worthwhile. Think of those leads like food items at the grocery store. You pay for your things and walk out with your groceries. On your way to your car, you drop a bag. You needed those items and you already paid for them, so you would make sure you salvaged what you could from the dropped bag. You wouldn’t just leave it in the parking lot and drive away. But that’s exactly what happens when you don’t set up a re-engagement campaign for your email list. No matter how good your email list is, some of your leads are going to stop opening your emails and converting. It’s just part of having an email list. But you also don’t have to just leave those “lost” leads behind. You can win them back. Here’s how. 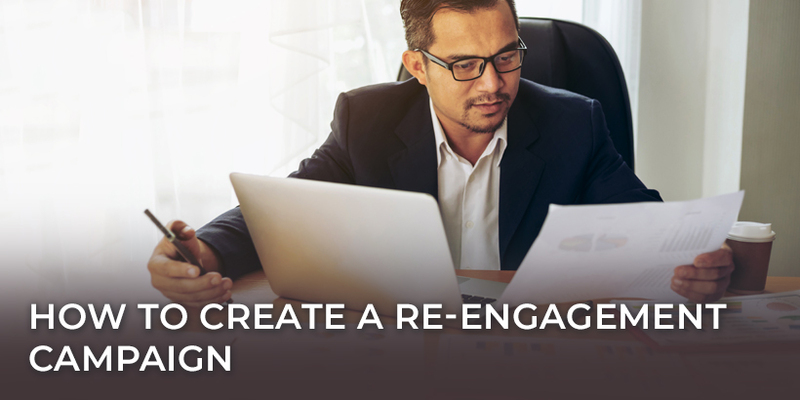 The first step to setting up a re-engagement campaign is deciding how you will determine someone is “unengaged.” Is it when they don’t open an email for two months, or when they haven’t opened your last three newsletters? Is it one month after you asked them to take a particular action, and they didn’t do it? It’s completely up to you. But the point is to decide when you think a lead isn’t going to re-engage on their own. Then, you split them into a separate group within your list, and craft an email (or possibly a series of emails) that’s just for them. Try a handful of angles, and A/B test them to find which messaging your unengaged leads respond to best. Once your email is all set up, you can periodically test new subject lines as well. If ever there was a time to use someone’s first name in an email, it’s in your re-engagement campaign. You want this email to make people feel like you’re speaking directly to them. You want them to feel like you understand where they’re coming from. It would also be worth including some more context around how or why they got on your list. Were they part of a batch of leads you got from a conference, a specific ad campaign, or a partner email you sent over the holidays? 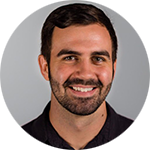 If you have that information, and there are enough unengaged leads within a specific segment of your list, use that context to make your email more personal. The point of this email is to get people to become active again. You don’t want them to open this email only to disengage again. So you’ve got to sell them on the value of continuing to be part of your list. You could talk about some of the recent highlights that have come from your email list, but the problem with that is it means you’ll have to keep updating your list. If you can focus on the high-level benefits (and perhaps link to some of your best content), that will give you a re-engagement email that you can use indefinitely. You could also take this opportunity to ask them if there’s a specific kind of content they’d like to receive. If there are several topics that you tend to email people about or multiple categories of people on your list (such as pastors or church administrators) and you have segments for each of them, why not just let people segment themselves for you? That ensures you get better information and they get the content they actually want. A gift makes a good hook to get people to open your email. The email itself should deliver on that promise early, and then explain the other awesome things they can get by continuing to open your emails. At the end of the day, a re-engagement campaign is about trimming the fat and maintaining a healthy email list. You don’t want to keep leads if they’re just going to keep ignoring you. You’ll wind up in their spam box, and every email you send will continue to look and feel less effective than it really is. So if your re-engagement efforts fail to make an impact, you may want to consider trimming them from your list. But before you delete the duds, tell them you’re going to do it. This is easy to frame as “we want to do the right thing for you,” because people don’t like getting emails they don’t want, and if someone really does intend to come back, this can give them the nudge they need to re-engage. It’s essentially just asking people to opt-in again to continue hearing from you. Is there a preferences page they need to update? A button to click? Make it simple, but make sure they have to acknowledge that they still want to receive emails from you. Otherwise, it doesn’t do you or them any good to keep sending them stuff. A re-engagement campaign doesn’t have to be complicated. It can be as simple as one email. And once you automate it, you can let it run indefinitely. With one of these in place, you’ll constantly salvage a small but steady stream of unengaged leads.